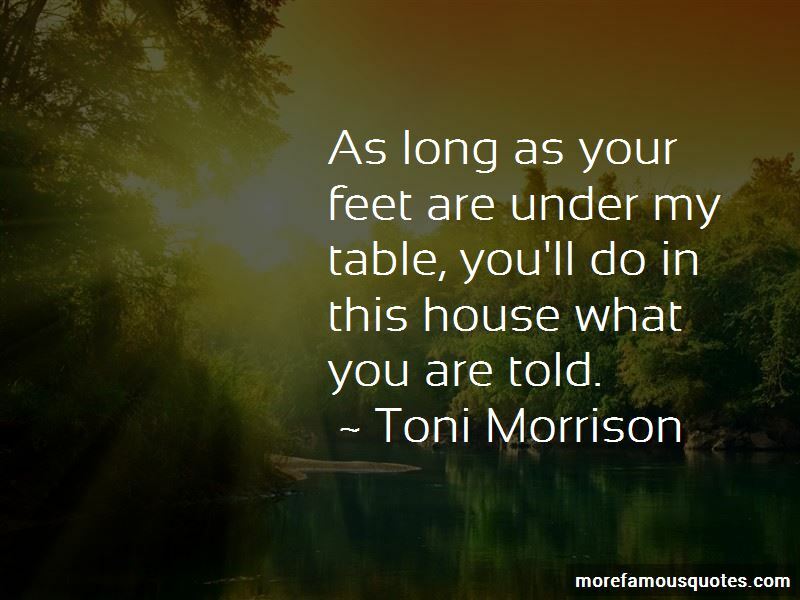 Enjoy the top 688 famous quotes, sayings and quotations by Toni Morrison. The presence of evil was something to be first recognized, then dealt with, survived, outwitted, triumphed over. It hit her like a sledgehammer, and it was then that she knew what to feel. A liquid trail of hate flooded her chest. Knowing that she would hate him long and well filled her with pleasant anticipation, like when you know you are going to fall in love with someone and you wait for the happy signs. Hating BoyBoy, she could get on with it, and have the safety, the thrill, the consistency of that hatred as long as she wanted or needed it to define and strengthen her or protect her from routine vulnerabilities. Michael was a purveyor of exotics, a typical anthropologist, a cultural orphan who sought other cultures he could love without risk or pain. She needed to confirm its presence. Like the keeper of the lighthouse and the prisoner, she regarded it as a mooring, a checkpoint, some stable visual object that assured her that the world was still there; that this was like and not a dream. That she was alive somewhere, inside, which she acknowledged to be true only because a thing she knew intimately was out there, outside of herself. She was not only good at housekeeping, she enjoyed it. After her parents left for work and the other children were at school or in mines, the house was quiet. The stillness and isolation both calmed and energized her. She could arrange and clean without interruption until two o'clock, when Chicken and Pie came home. Girl, I got my mind. And what goes on in it. Which is to say, I got me ... my lonely is mine. 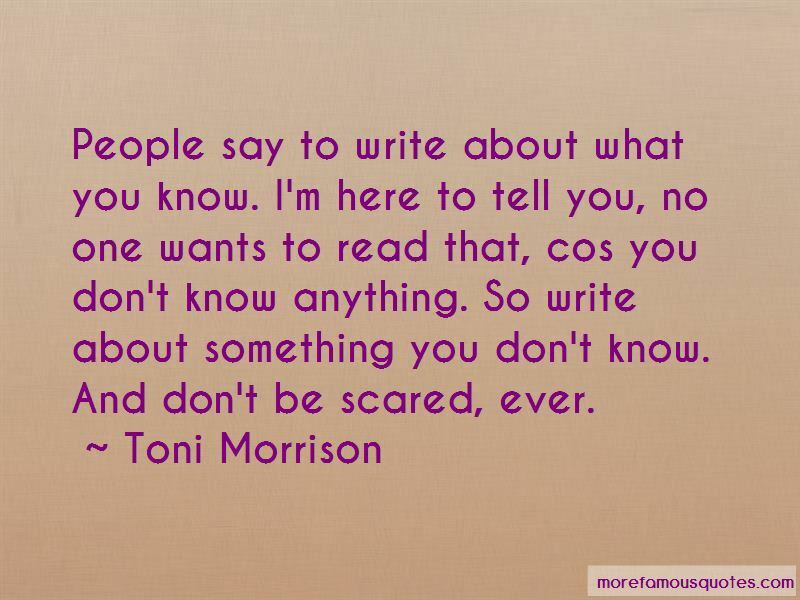 Want to see more pictures of Toni Morrison quotes? 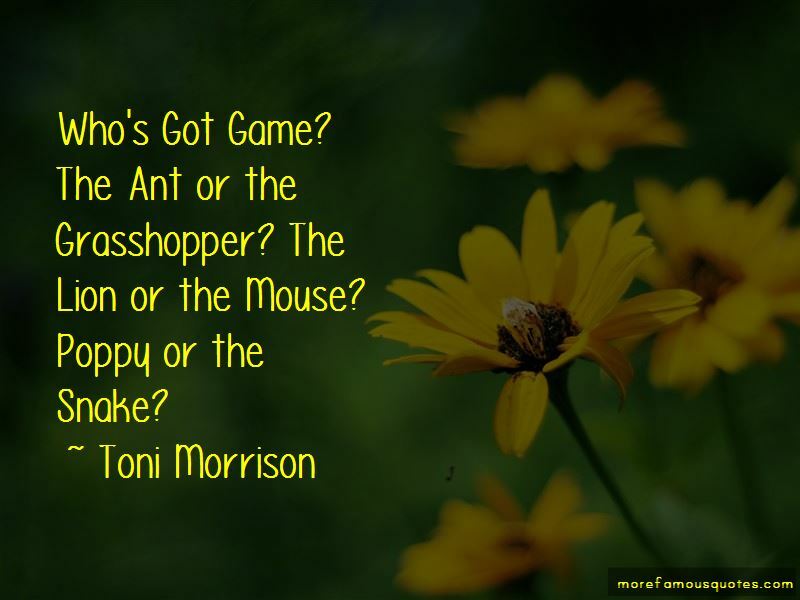 Click on image of Toni Morrison quotes to view full size.